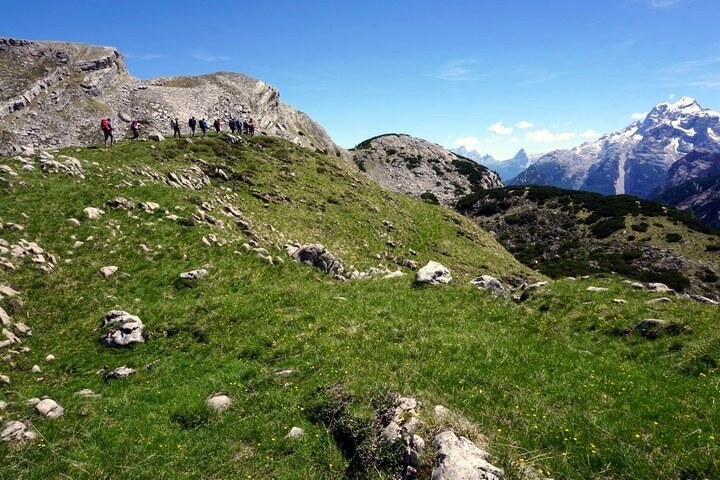 Walking the Alpe di Sennes is a wonderful circuit that takes you through a variety of different, stunning landscapes. 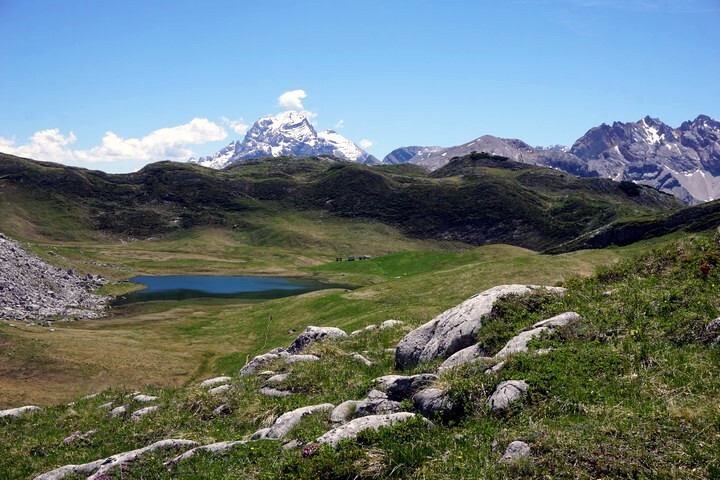 Taking in three rifugios (Rifugio Senes, Rifugio Fodara Vedla and Rifugio Biella), there are lots of ways to shorten this walk, so it’s a great hike for adventurous beginners. This can be hard to find. 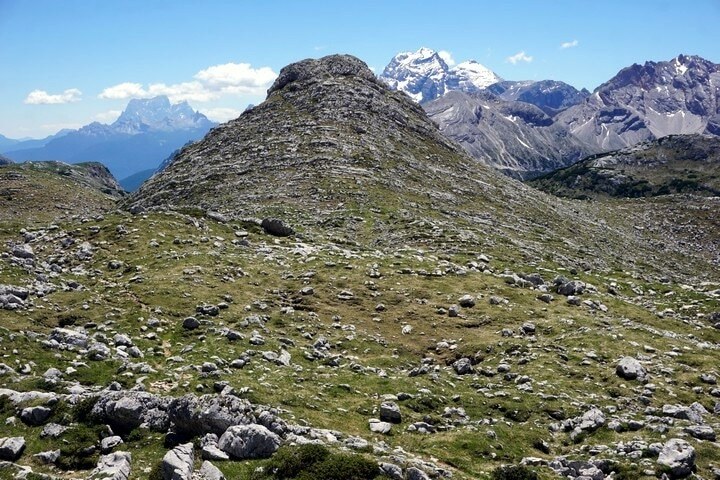 Drive the SS51 roughly 8km north from Cortina. The entrance to the parking lot is right at the corner of a hairpin turn. Once here, you’ll either need to take a bus or you can drive up a 3.0km narrow road (when driving on the road is allowed). Start this walk early. It’s a popular one and the parking lots can fill up quick, especially the lot at Rifugio Ra Stua before the buses start. 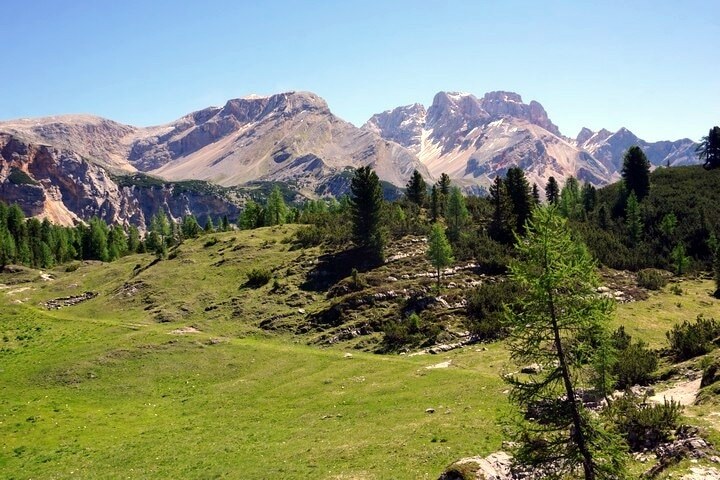 You’ll walk through two different parks on the route, starting in Parco Naturale delle Dolomite D’Ampezzo and then up to Naturpark Fanes-Sennes-Prags. 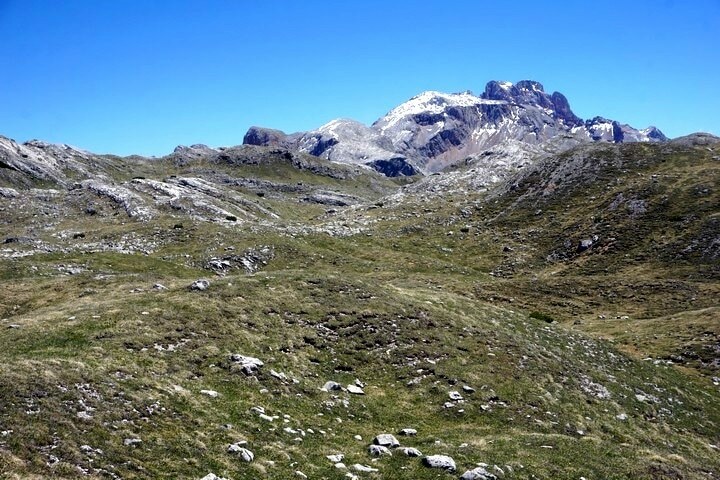 From the parking lot head towards the Rifugio and then up a broad 4×4 track. After roughly twenty minutes, you’ll come to a large clearing with a small chalet sitting at the far end. At the signposted-junction go left, taking the route signed to Rifugio Fodara Vedla. This route takes you up a series of switchbacks through a forest with enough shade and birdsong to make the ascent quite delightful. The views expand as you climb, and are a nice preview of what’s to come. After 3.8km you’ll come out of the woods into a basin with a fine view. Continue along the path, and when it splits take the smaller left-hand path. 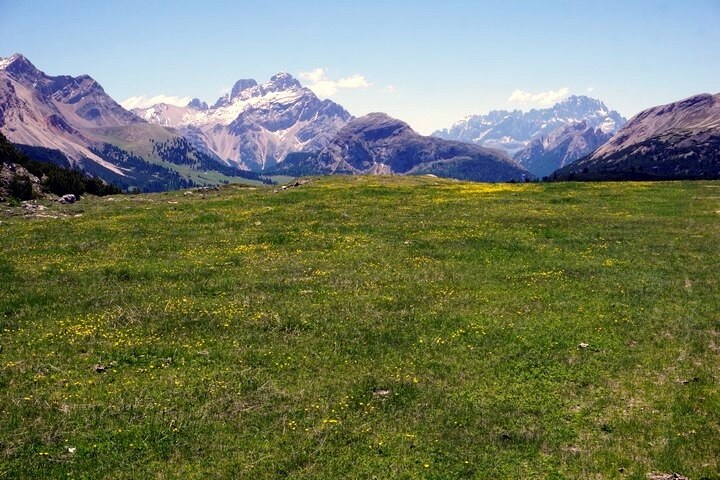 When this path comes to a meadow take the right-hand side and – in a minute – Rifugio Fodara Vedla comes into sight. 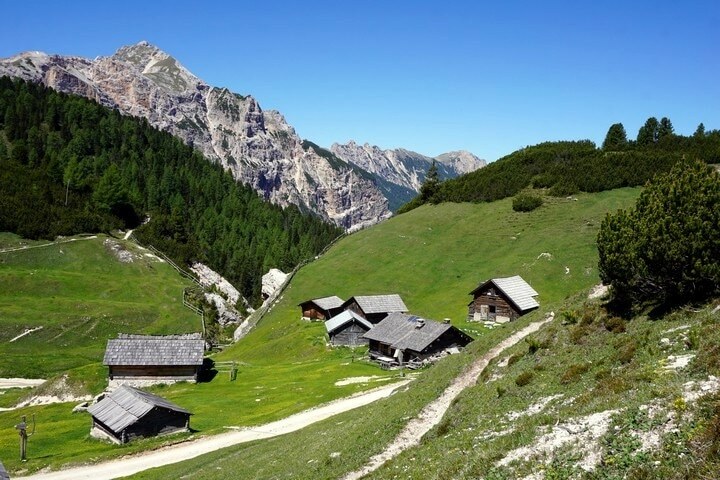 This is a large Rifugio with many outbuildings. 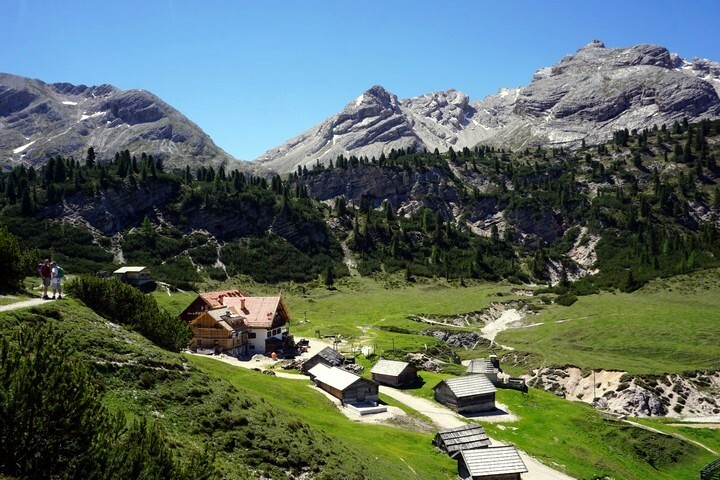 There are many people who come up to this Rifugio simply for a day of exploring the buildings and surrounding area. To continue along your journey, go around the Rifugio and head right to a signposted route to Sennes, which will take roughly one hour. You will soon join another 4×4 track before going right. After a few minutes take the path to the right, signed to “Sennes” and Route #7. This path soon re-joins the 4×4 track where you go right again. After five to ten minutes, take a signed path off to the left to Sennes. 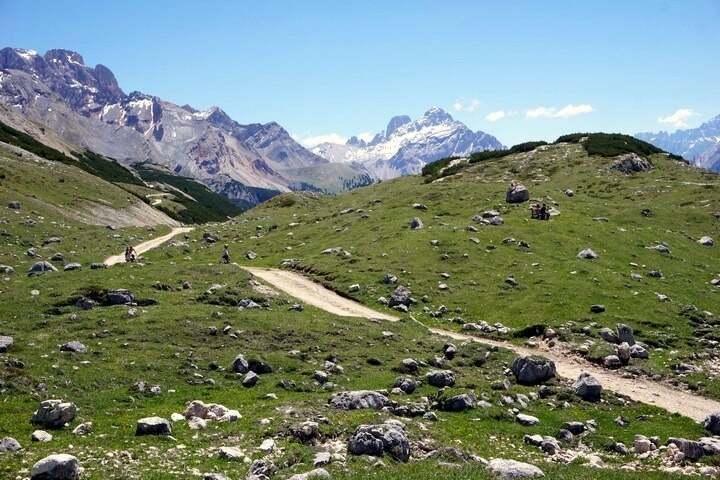 Soon, you’ll cross over the 4×4 track and take a pathway with the Sennes Hutte, visible in the distance. Pass the Rifugio on the right (or stop and have a delicious snack – if it’s not too busy), and continue uphill on yet another 4×4 track. You’ll soon come to a sign that points to Rifugio Biella (route 6A) and lists the time as 1h. After five to ten minutes, and before a small squat black building, take the path that goes off to the right, signed to “Rifugio Biella”. This path goes through some small hills with glimpses of peaks all around. This part of the walk is unique and enjoyable. You will then start to descend. At 9.3km you’ll come to a junction. Continue ahead towards the Rifugio on the hill. Rifugio Biella opens later than the other two Rifugios on this walk and isn’t as popular, which is surprising considering the views from this Rifugio and back down the other side are perhaps the most spectacular of the day. 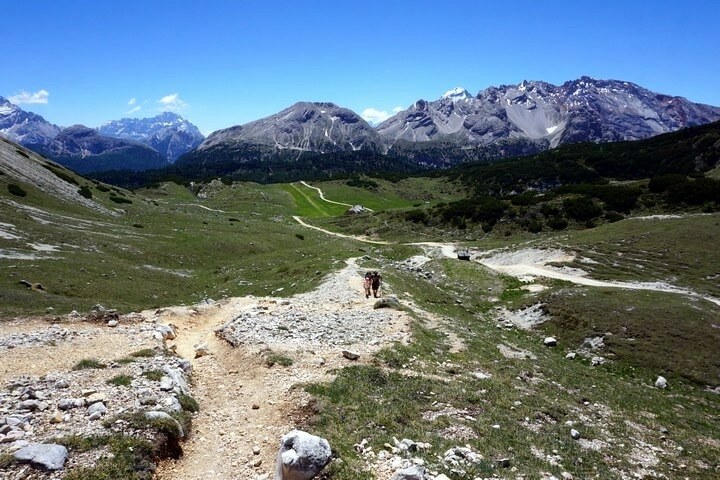 To continue your journey, there is a path below the Rifugio that goes down the valley. Take this path until you see an arrow pointing to left. Follow this arrow and future red and white paint splashes as you go down. After about 45 minutes, you’ll reach the beautiful Lago Gran de Foses. This is the only tricky portion of route-finding. Once at the lake, it appears the route goes past the lake, but it actually contours the lake to the far end and then around to the left. Many people miss the actual route and there is now another, fainter route if you miss the original one. There is a structure being built at the end of the lake. Go to the left of the structure, and then go uphill through some boggy ground, eventually going over a wooded-crossing of some extra-boggy terrain! At 13.3km, you’ll pass a sign pointing out the route continuing and trending to the right. There’s another path from here going down to the left: DON’T take this (however it is faint, so you might not even notice). From here it’s a downhill hike on a steep path. It’s easy to slide on the loose rocks, so watch out! 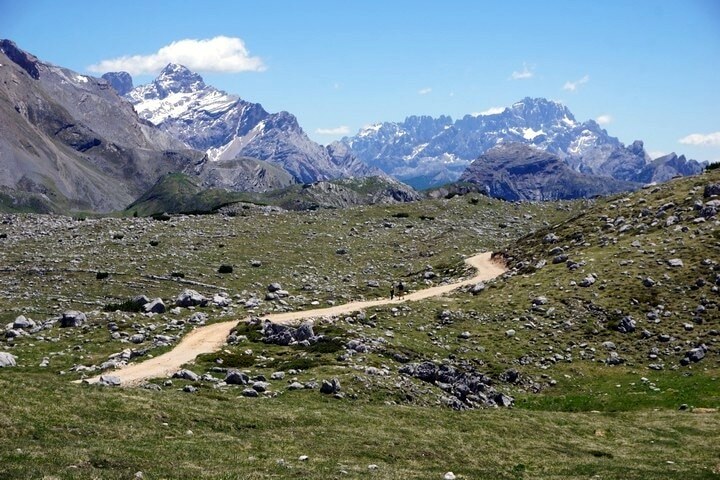 As you descend, you will eventually see a 4×4 track in the distance, this is the route down from Rifugio Sennes. When you come to the 4×4 track turn left and head down the track, soon this path becomes the track you ascended on. Parking fills up early, often before the buses start, so get there early! This is a popular area, and many people walk up to one of the Rifugios for lunch. They get busy, so if you want to move quickly take your own food and drink.